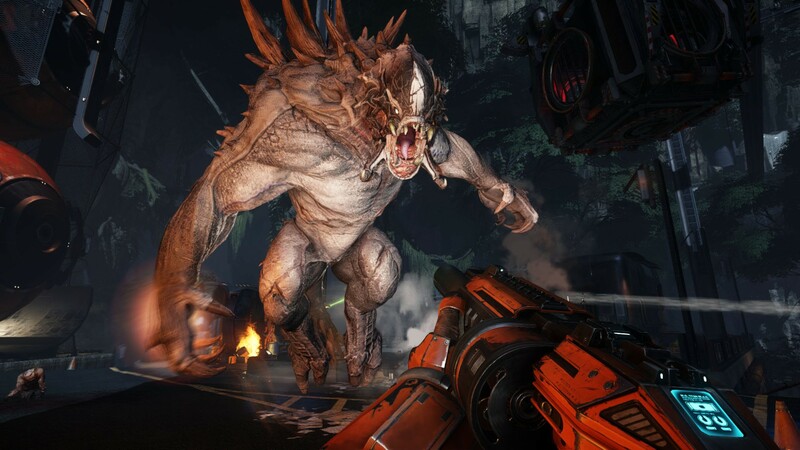 » PC Gaming » PC Requirements For Evolve, Will Your Rig Run It? The min. specs are very reasonable, entry level rigs will easily be able to run Evolve. 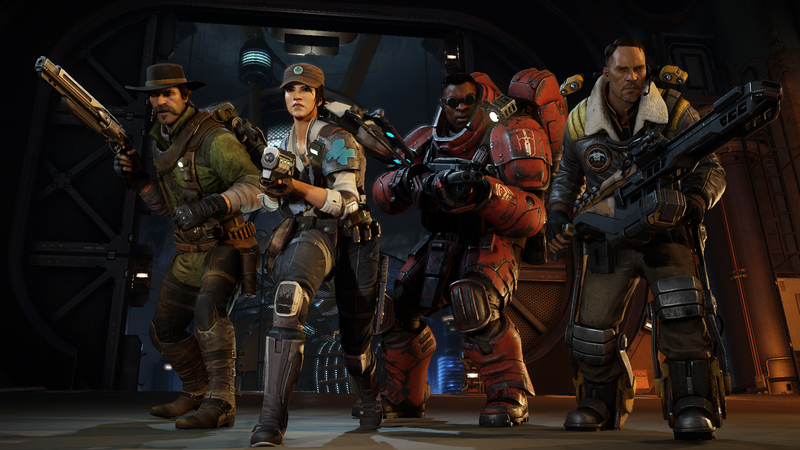 Evolve was made by the same dev team that created the hugely successful Left 4 Dead series and this game brings co-op to the next level. The monsters are huge and can take a very hefty amount of damage to take one down. The 4 hunter classes are assault, trapper, medic and support. The assault class is a class that concentrates on dealing heavy damage to the monsters using weapons like shotguns, rocket launchers, flamethrowers, assault rifles and miniguns. The weapons that your’e able to use are dependent on the character that you choose to play as the given class. The trapper class concentrates on keeping the monster at bay and keeping it out of hiding. There is an array of traps that this class uses to keep the monster stuck at one spot while the party deals damage. Weapons for a trapper include things like SMGs, shotguns and various traps/grenades. The medic class concentrates on keeping the party members health high. The medic is probably the most important class because if the monster is dealing massive damage to everyone then it is up to the medic to clutch out and make sure that the party stays alive. A medic’s weapon loadout includes long range types guns such as sniper rifles. Some secondary weapons include launchers that heal on contact and one medic character is able to go rogue with a stealth ability. A quiet medic is a great medic indeed. 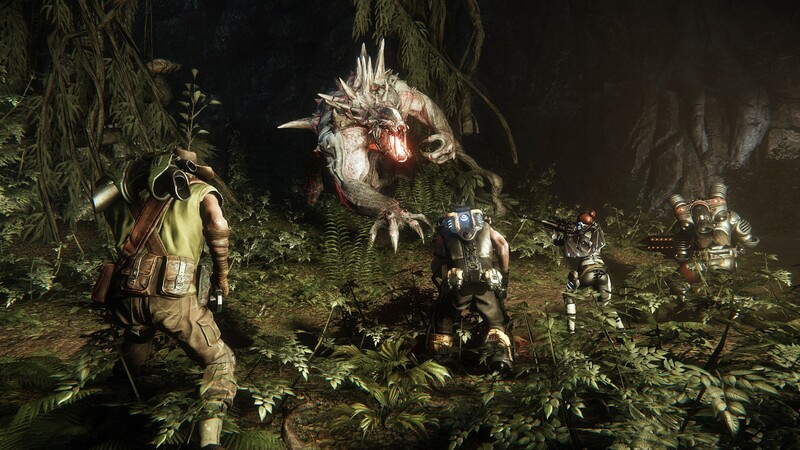 Communication and team work is very important while the hunters try to hunt down the monsters in Evolve. The support class concentrates on dealing damage but also concentrates on buffing the team to keep their defenses up. Taking the least amount of damage from the monster sure is a great idea and support will be able to get the job done when it comes to that. All of the support characters have cloaking devices to stay hidden while dealing damage and making sure the team stays at the top of their game. Weapons for this class include laser cutters, missile launchers and railguns. Massive amounts of damage can be done by support classes but people playing as support should more so concentrate on staying alive so that they can keep buffing the team with shield boosters. There are many different monster types to play as well and there will continue to be downloadable content to play as more monsters and the DLC also adds more maps and possibly more game modes. Monsters evolve into bigger and badder versions of themselves by consuming the various wildlife found on the planet Shear which is where the game takes place. There are three stages of evolution for each monster and the hunters better make sure that they stop the monster from evolving because their power increases by great amounts and the monsters also gain different abilites as the evolve as well. There are three types of monsters to choose from on the basic game and there are currently two monsters that are available through downloadable content. 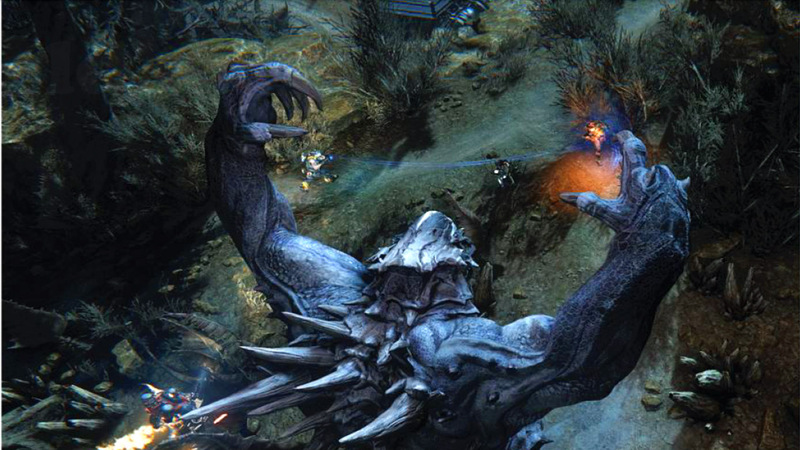 The three monsters in the game are the Goliath, the Kraken and the Wraith. Each monster has their own unique fighting style and their own skill trees. As the monsters eats wildlife throughout the map the monster also gains skill points which can be put into whatever type of skill the player decides to set them to. The Goliath is a large monster that resembles a big monstrous earth looking monster. This monster specializes in dealing massive amounts of damage with its abundant amount of strength. The hunters better keep their distance and make sure that traps are set up optimally otherwise the hunters will be annihilated by the Goliath. This monster also has fiery breath that deals a pretty good amount of damage. The Goliath, the Kraken and the Wraith. The Kraken generates bio-electricity to damage the hunters. Although this monster isn’t the most defensive it makes up for that by being able to damage the hunters from afar with its electricity. This monster is also able to move around very quickly due to its wings. Evading a bad situation is no hard task for this monster and keeping your distance is key when playing as the Kraken. The Wraith is a ghost-like stealth based monster that hits hard with its blades and the Wraith is also able to teleport. This monster is very weak physically but this monster can confuse and pick of hunters one by one with its super natural abilities. Hunters better hurry and deal as much damage to this monster as quickly as possible because when the Wraith evolves then its going to be very hard to get in close and kill it. The latest monster only available through DLC is called the Behemoth. It is a large rock-shell type monster that deals heavy damage with rocks and lava. 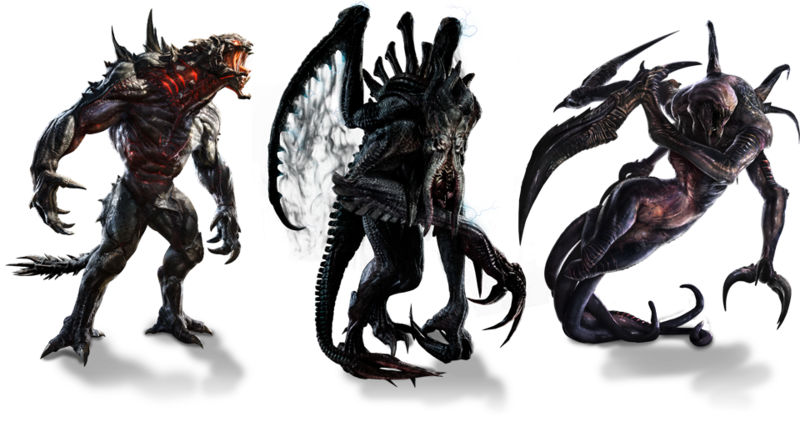 It’s going to be pretty cool watching the dev team come up with various monster types for download and I think Evolve will continue to be a very successful game. All in all, Evolve is a great looking game that is a ton of fun to play with friends. Gear up, get ready, and hunt or be hunted. It’s your choice. So what do you guys think of the PC requirements for Evolve? Is your rig able to run it? Tagged evolve, evolve requirements, evolve trailer, game, pc gaming, review. Bookmark the permalink. 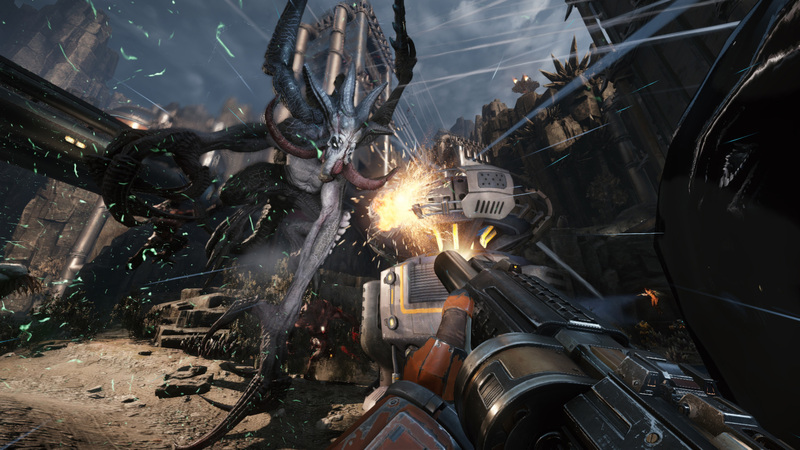 4 Responses to PC Requirements For Evolve, Will Your Rig Run It? This looks like a neat game, and it seems my rig should have no problem running it. I have an Intel i7 quad core processor, ATi HD5670 graphics card, 6 gig ram, and 1TB hard drive. The only question might be the video card, but I think it’ll be fine. Thanks for sharing this and reviewing it. Your GPU should be able to run it at tweaked low-med settings, upgrading your video card is really the only thing you’d have to do in order to run this game at the higher graphics levels. Awesome content dude! I will always refer to this site when it comes to games on my PC. Your theme looks very professional as well.